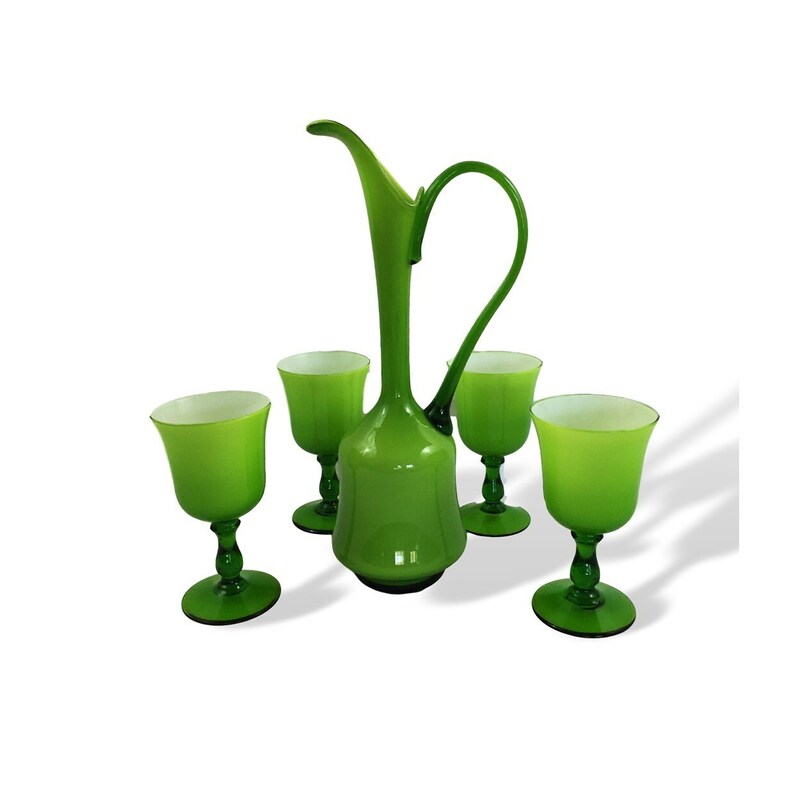 Behold this eye-popping BIG Mid-Century Modern Italian decanter and glasses set in bright happy lime green. While some Italian cased glass came from Murano, most hails from the Empoli region. This set--a sleek decanter with a curvaceous applied handle, and four matching goblets is in near-perfect condition despite its years (some wear, as expected, is evident on the decanter base).